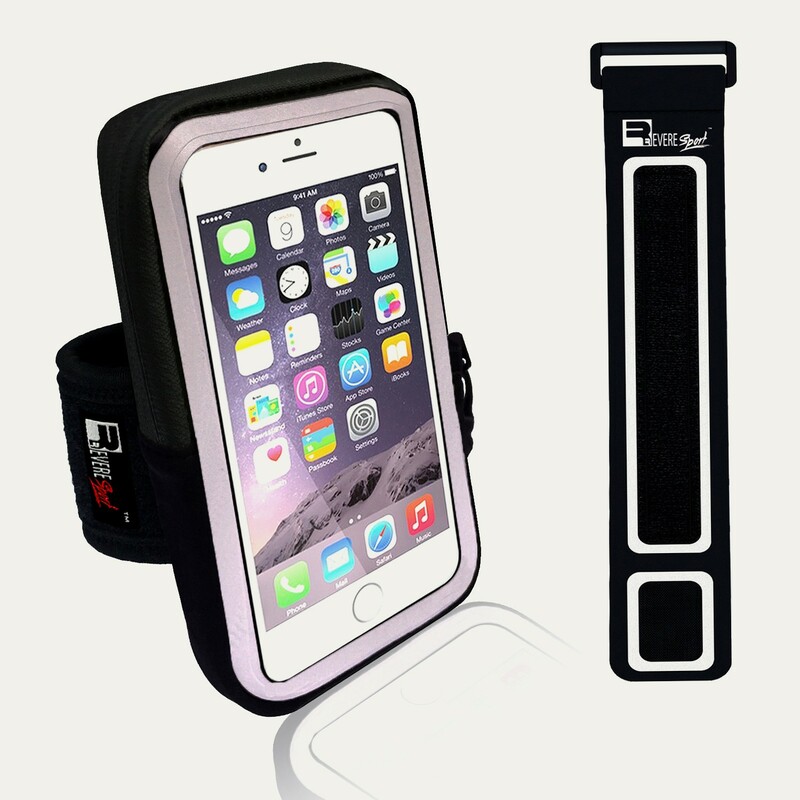 The RevereSport iPhone 6/6s Running Armband 'Vertex' is engineered for comfort and convenience. 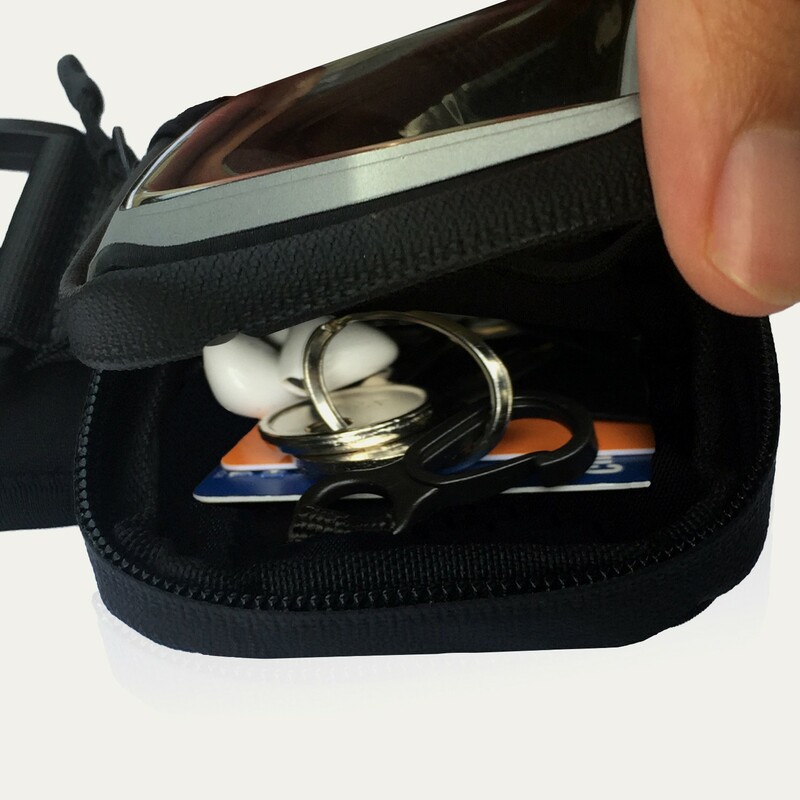 The large pocket will carry your phone, cash, bank cards and keys, and will hold your valuables securely, even during strenous exercise. For added comfort, the Fitness Armband is made from a premium fabric which is comfortably fitting and soft against your skin. 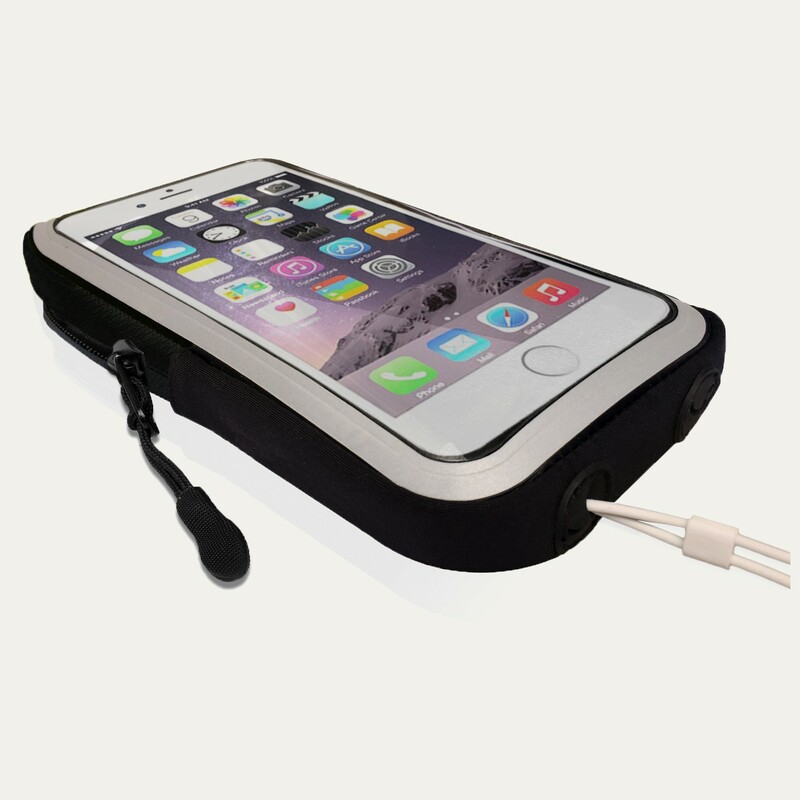 Exercise whatever the weather, the waterproof zipper will keep your phone dry. 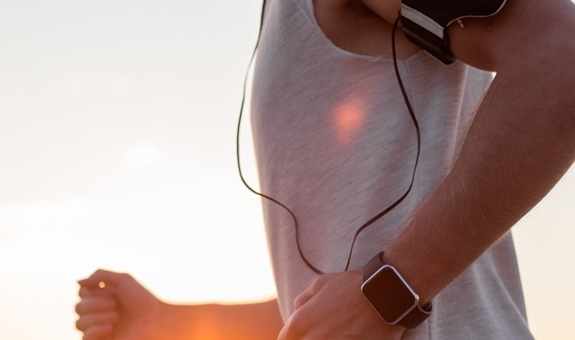 Protect your expensive iPhone 6 during exercise. 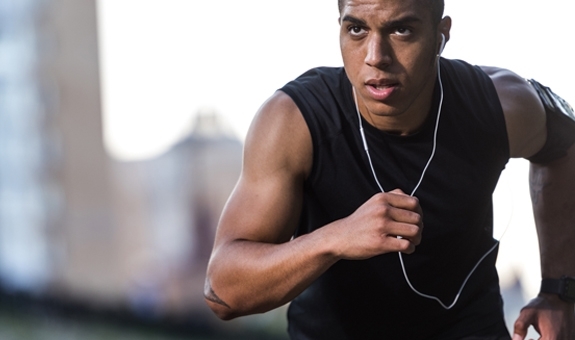 The 'Vertex' Running Band is engineered to keep your smartphone secure without rubbing, slipping or bounce. 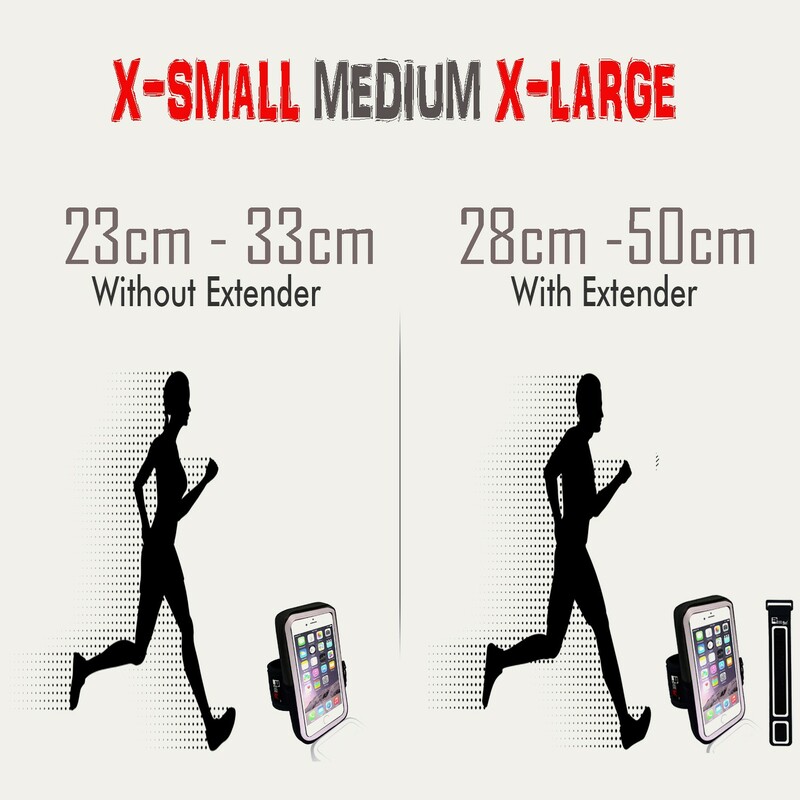 Robust, reflective and water-resistant, you can exercise with peace of mind knowing your iPhone is protected. Durability proven, the Vertex Armband will withstand your longest distance. 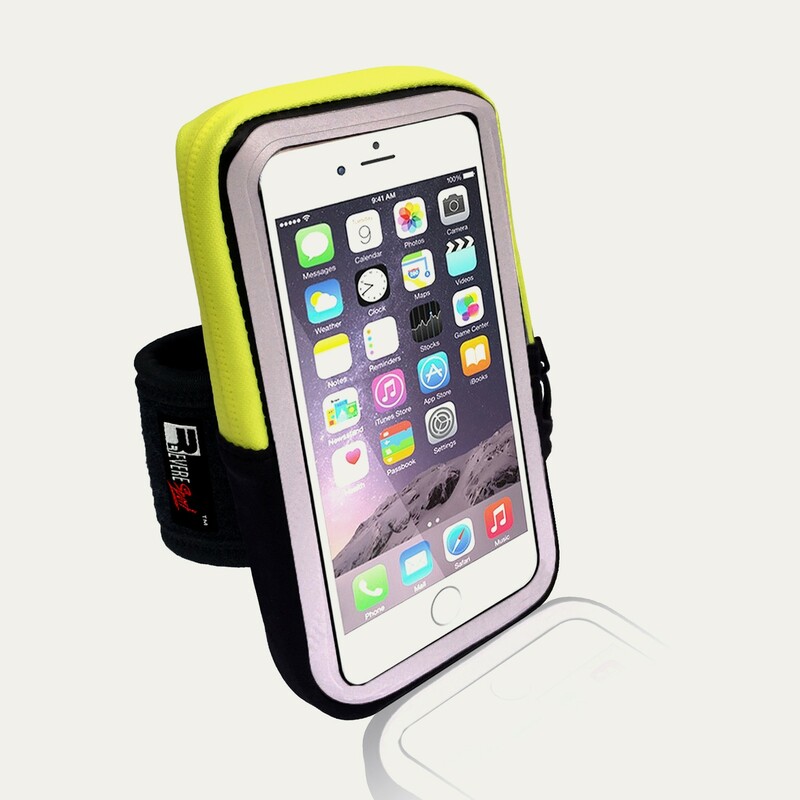 Designed for all weather training, The Vertex Armband has a waterproof Zip and waterproof outer cover, to keep your phone dry during outdoor exercise. 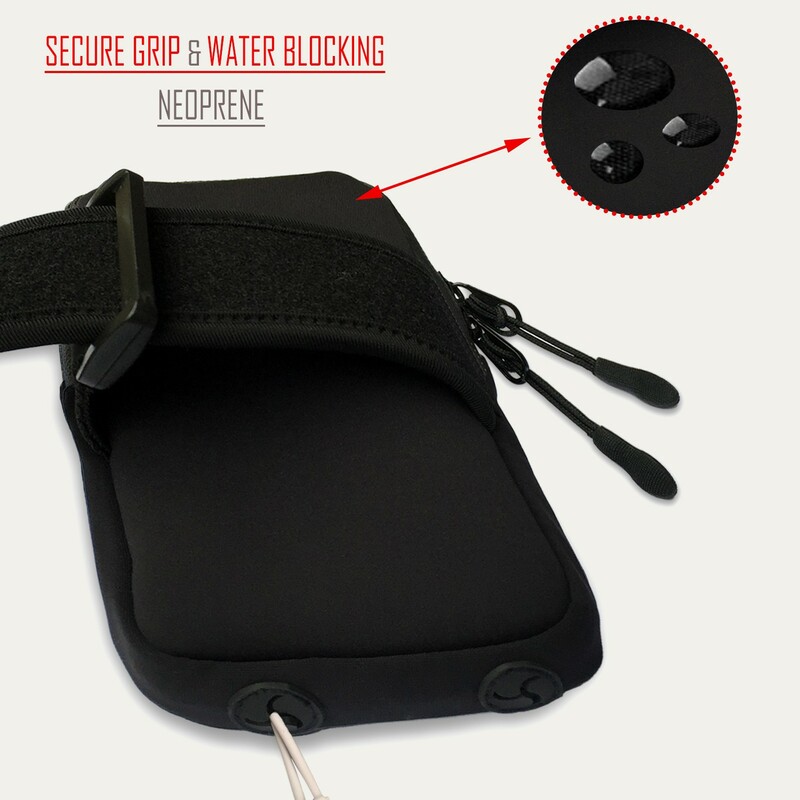 The sweat resistant arm lining will feel comfortable against your skin and prevent sweat from damaging your expensive smartphone. 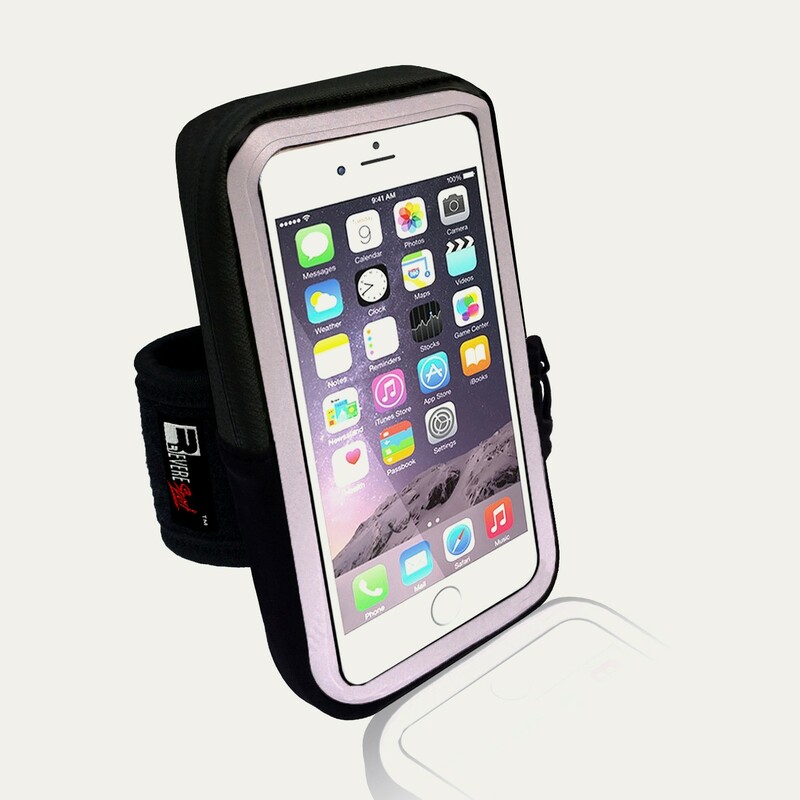 Take your next run off the beaten track, the Vertex Armband will protect your iPhone, whatever the route may throw at you. 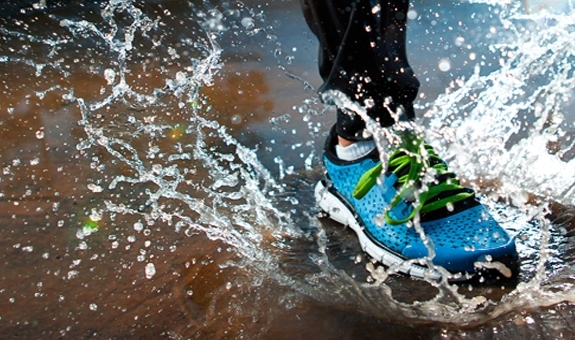 All of our products were inspired during an around the world active adverture . This armband is the 12th product, inspired whilst traveling around Indonesia & China. With the business launch now behind us we could finally take a rest and use the knowledge we had learned to design our next product. We started designing a new style armband but this time we wanted to make it larger so it would hold more items like your keys, cash and earphones. We again ordered samples to our hostel and once again they were not there when we arrived. It turns out the package had arrived but the Chinese hostel manager believed the armbands were a gift from Tripadvisor (??) and he had given them to his staff and family. Within 2 days I had all the items returned minus 2 which we had to get re-shipped to yet another hostel. After months of hard work the spacious Armband 'Vertex' is now available and we hope you enjoy using it as much as we enjoyed the adventure of making it. Great all round. Nice material, extra compartments for my gym pass and bank card, strap and velcro are sturdy and doesnt rub at all when I run, unlike other armbands I've tried. Recommend! Great armband for my iPhone 6. Functional, durable and nice material. Perfect gym buddy. I can now work out hands free while listening to music. Seems well made and looks great too. Really pleased with this armband. It has a larger case so it can fit my keys, credit cards as well as my phone. Saves me carrying things in my hand. Fits my iPhone 6 perfectly with the case on. Really well made and nice quality material. 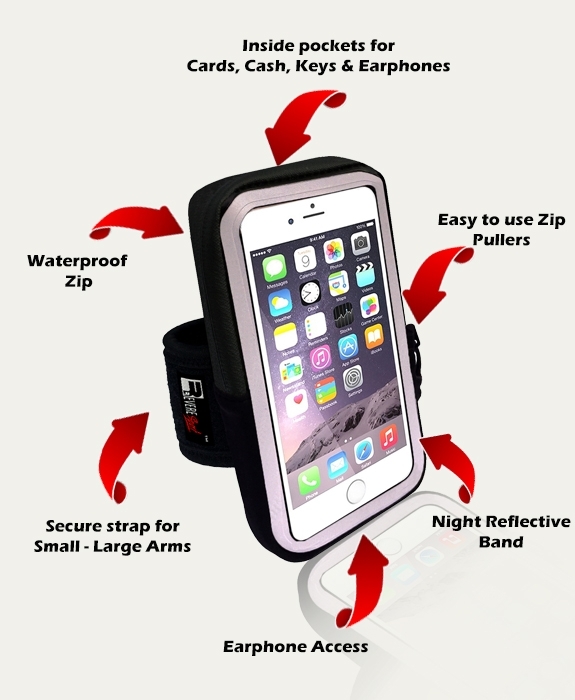 Comfortable to wear, good size strap (fits my large arms and the Mrs' small arms) stays in place during exercise, perfect size for iPhone 6 with a case on and extra room for keys with credit card pockets. Well made. Great piece of kit. Recommend!